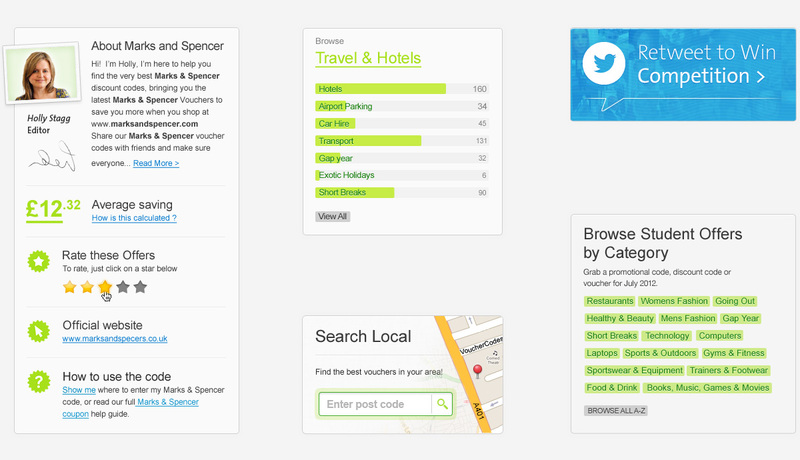 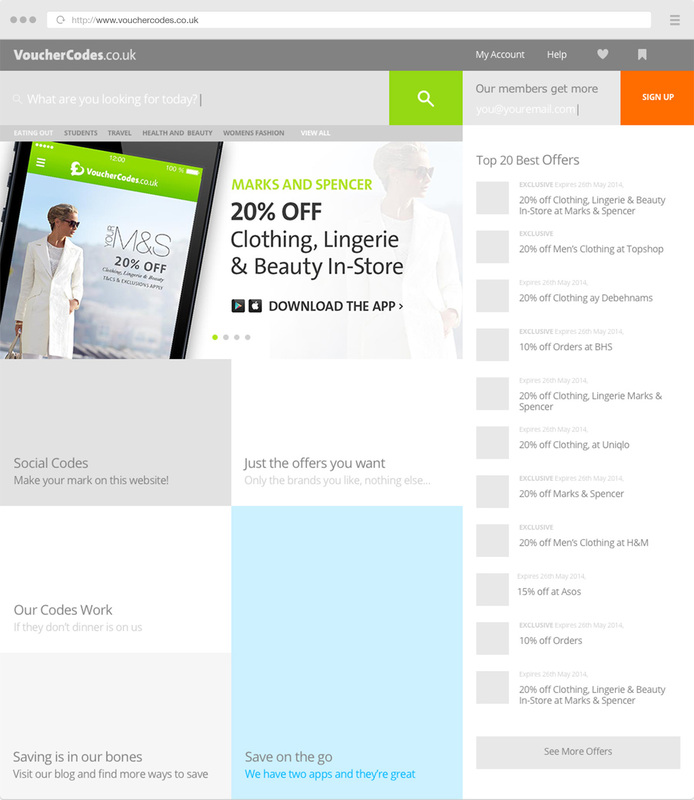 The following selected work is just a small part of a 3 year role as a designer with Vouchercodes.co.uk. 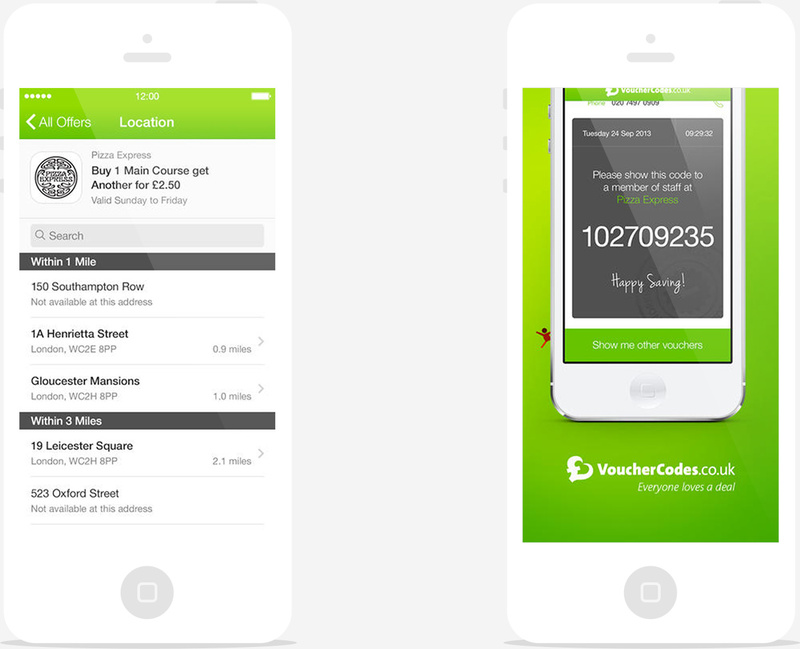 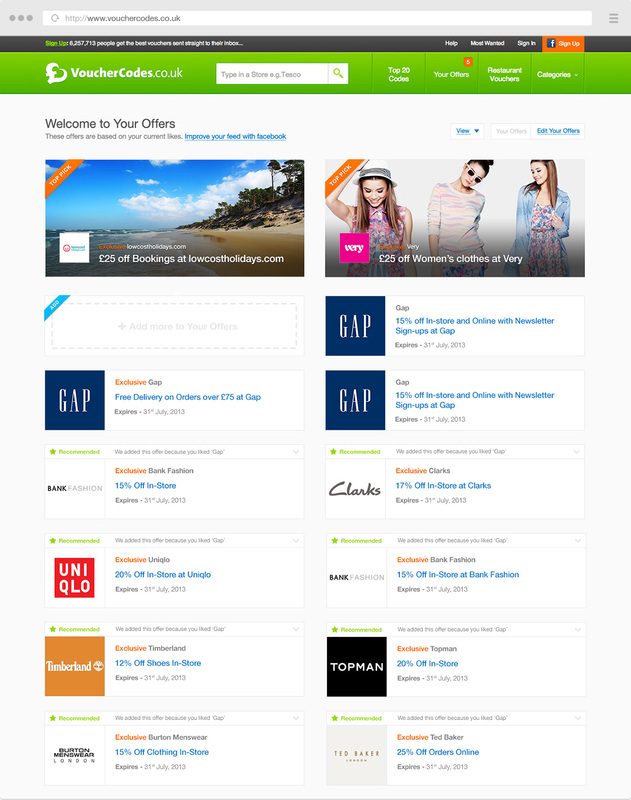 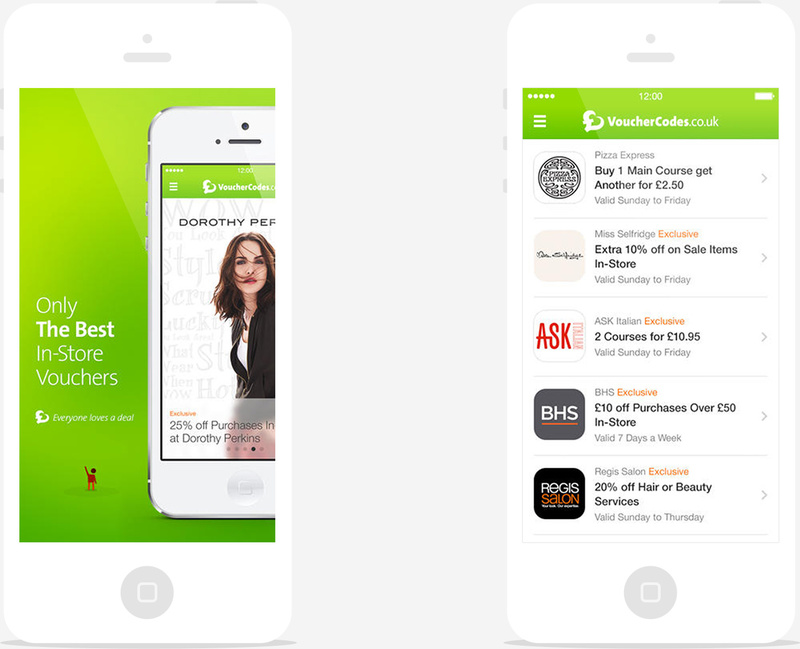 The website brings together the best voucher codes, 2-for-1 restaurant vouchers, printable vouchers, deals and sales for hundreds of leading online stores to help save the public money. 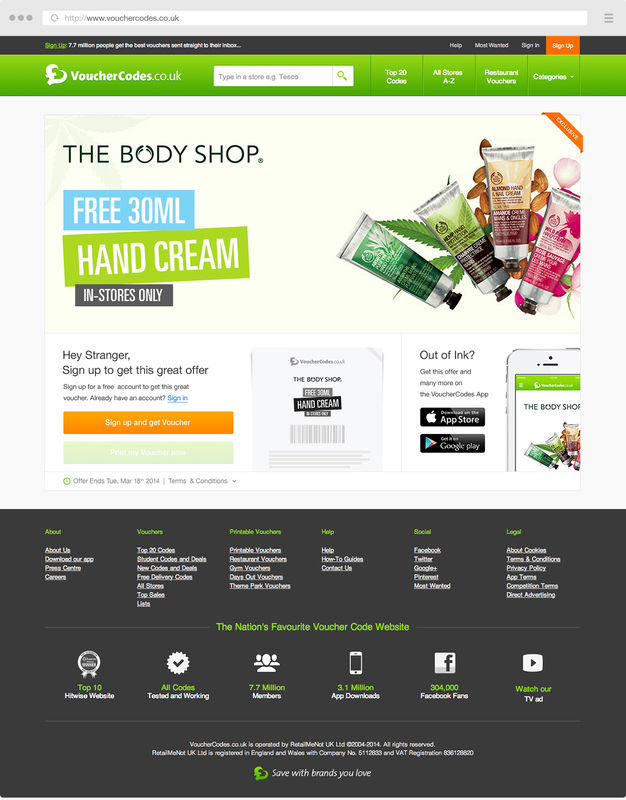 Throughout the 3 years, I was lucky enough to witness the company growing from 20 staff to 90, being acquired by retail giants RetailMeNot.Inc, going public on the stock market, shipping a fully responsive site, producing 2 highly successful native apps, uncountable marketing campaigns and a whole lot more.